Every once in a while, Joy and I share some of our favorite mysterious stories. This week, Joy picked a real doozy. The disappearance and eventual return of a missing young boy, Bobby Dunbar, was shrouded in strange turns of events and a media frenzy. 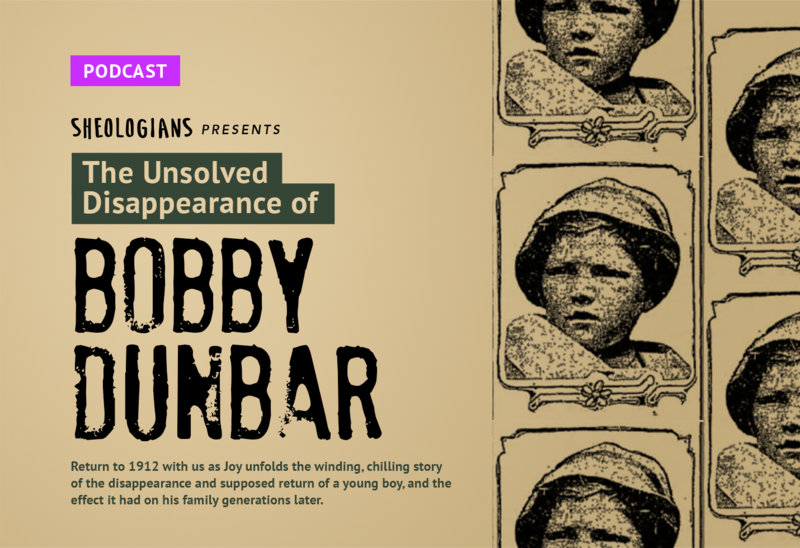 It would be generations later, with the help of a resourceful granddaughter, that the truth about what happened to Bobby Dunbar would be revealed. Turned on the Bobby Dunbar story, too much giggling by hosts. What a waste of air time! And what a silly impression you made on this first and last time listener. Good bye, fairest Joan! Godspeed.